Kinesiology faculty member Michael Redd is the first director of sports science for the Knights and will supervise a new sports science internship program for students. 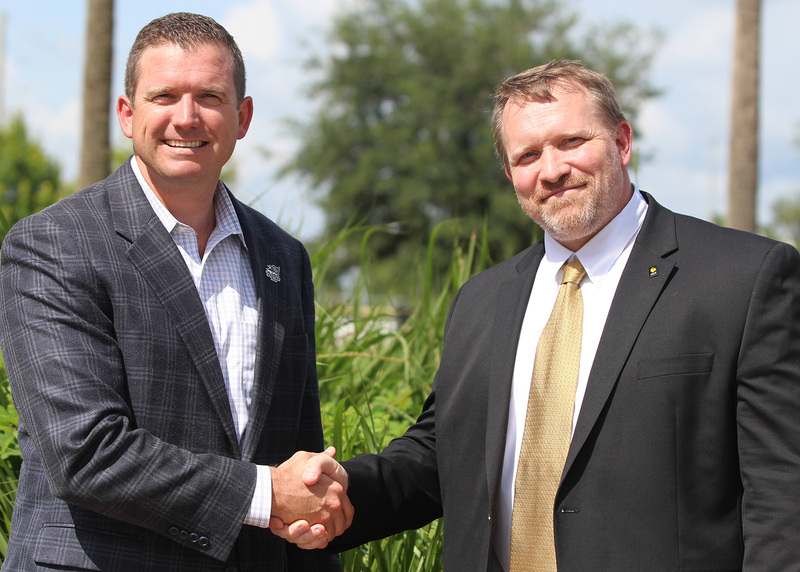 UCF Athletics and the university’s new School of Kinesiology and Physical Therapy are partnering to enhance the well-being and performance of the university’s student-athletes. Kinesiology faculty member Michael Redd is now working with coaches as the first director of sports science appointed by the athletics program. He also is supervising UCF students selected for a new sports science internship program. “We’re not aware of any other universities that offer such an internship opportunity for select graduate and undergraduate students,” said Redd, who completed his doctorate in exercise physiology (an area of kinesiology) in August. Under Redd’s supervision, the interns will help bridge the gap between science and application. Redd was a doctoral student at UCF last year when he worked with the men’s soccer team during a pilot study. He attended the practices and analyzed thousands of data points produced by tracking bands worn by the players. His analysis of the data gave head coach Scott Calabrese another tool to assess his trainings and ensure the athletes got just what they needed. For example, in some cases Calabrese would adjust the duration and intensity of the training drills to enhance recovery and optimize performance. The team went on to win eight consecutive games and compete in the American Athletic Conference championship final. The Knights are now this year’s preseason favorite in the conference. 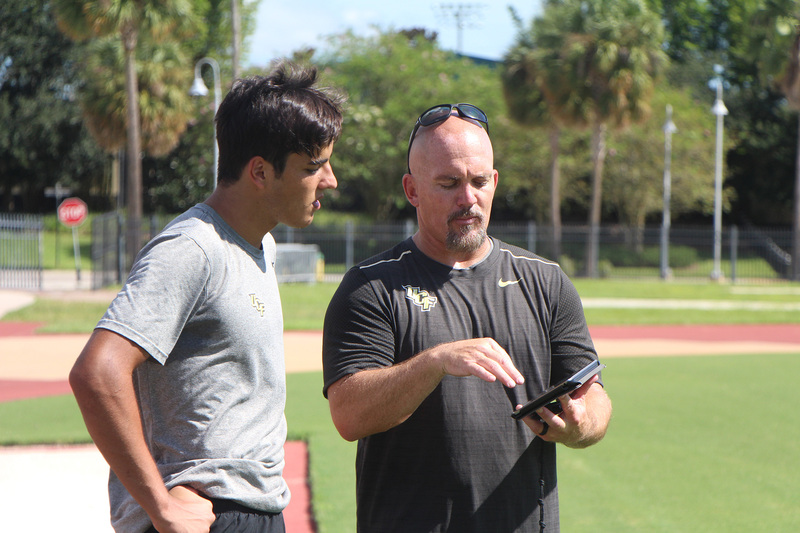 Following the success of the pilot study, Redd and Stout worked with UCF Athletics to establish a new sports science internship to enable more students from the school to learn and assist. Redd has started selecting graduate and undergraduate students as interns. They will learn how to collect and interpret data produced by devices worn by student-athletes. Redd will review the data and use it to inform the coaches of the findings. Eventually, the health and performance of some 400 student-athletes could be monitored, he said. Undergraduate Maxine Furtado is among the first students selected for the internship. She is working with the university’s soccer programs. UCF Athletics is excited for the partnership, said Eric Wood, deputy athletics director for competitive excellence.